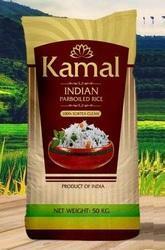 Manufacturer of a wide range of products which include bopp laminated rice bag. We are Leading Manufacturer of Bopp Laminated bags Export quality. These are used for packing dal,rice,wheat,aatta,cattle feed,wall putty etc.